Conference badges, Photo IDs, Name Badges, Enamel Badges, Shaped Badges, Window Badges, Domed Badges, Screen-printed Badges. A Graphic Design service, Large Format Printing, Shop Frontages, and Vehicle Graphics. You name it, we can print on it - Lighters, Keyfobs, Coasters, Mugs, T-shirts, Pens and more. 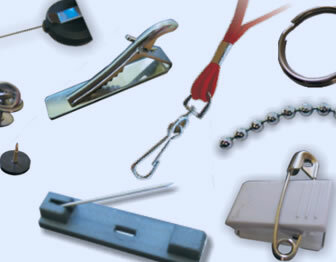 In fact, any item that can be branded. If you want to get away from the conventional rectangular or round badge and have an image that is really unique - this is the service for you. 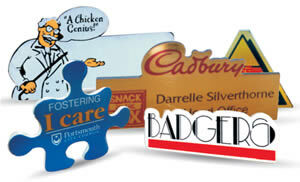 We can make you eye-catching and original badges in all shapes and sizes. Staff name badges and ID cards. Excellent badges in a tough environment. Button badges are the most popular promotional badge and ideal for bands, clubs and bars. WANT TO KNOW MORE? Visit our badges site.